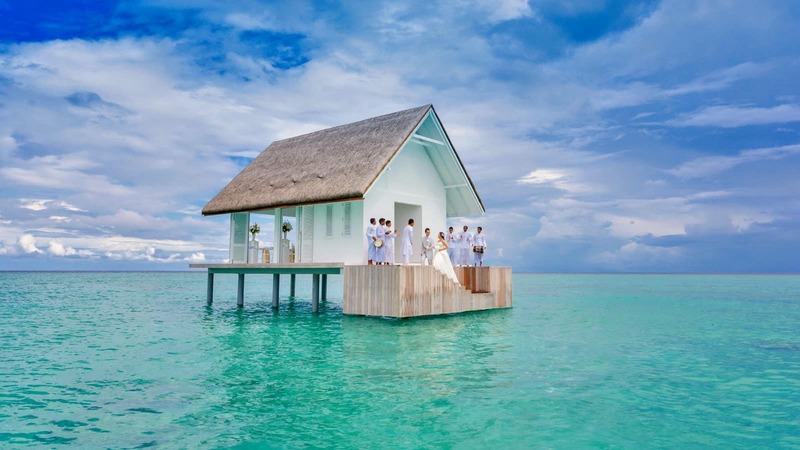 If you are thinking of an intimate and relaxing atmosphere for your wedding, far away from the city’s hustle and bustle, and with crystal-clear waters in the background, then the Maldives could be the perfect location for you. Its several atolls offer a one of a kind, unique atmosphere. A place where you can celebrate both your wedding and your honeymoon; a true paradise! Choose among many luxury resorts and endless private beaches, which represent the ideal backdrop for an intimate, natural-chic wedding. Here, you can choose to exchange your rings – with a symbolic rite – while dipping your toes into the Ocean, or on a boat while being swayed by waves offshore. If, instead, you are a very dynamic and original couple, then you can even choose to say “I do” under the sea, literally. 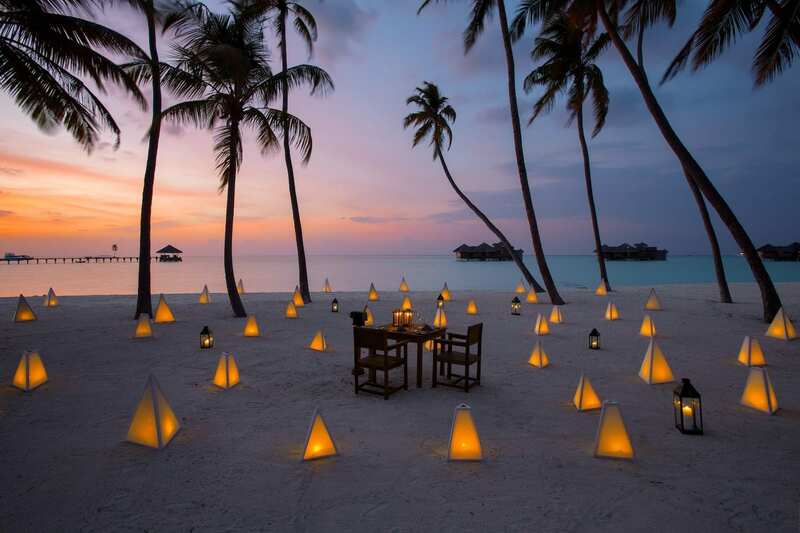 Considering the typical tropical climate of the Maldives, the best time of the year travel here goes from January to mid-April, when the sun shines the longest. A romantic getaway, a white dress, the warm tropical sun, the sunset, freshly caught fish for your banquet, torches lighting up your dances underneath a starry sky, and around you just calmness, just you and your loved ones: nothing is more romantic for an elegant and refined yet simple wedding, organized in its every detail.